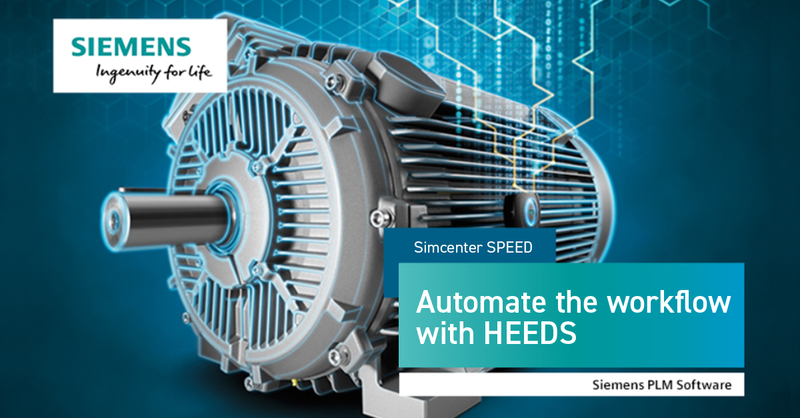 HEEDS enables Simcenter SPEED to automate and intelligently explore the design space resulting in increased machine efficiency at a lower cost. HEEDS 2018.10 is full of new upgrades to make your experience more flexible and more intuitive than ever before. Improved usability and simplification of analysis set up will allow for all design project team members to easily deploy HEEDS. With four new major portals added, HEEDS continues to find new ways to work with your existing software investments. HEEDS 2018.10 is packed with great enhancements that continue to streamline design space exploration through improved results, processing, and automated analysis tools. It can be difficult to assess the process status when analyses are running with complex or parallel processes in HEEDS|MDO. 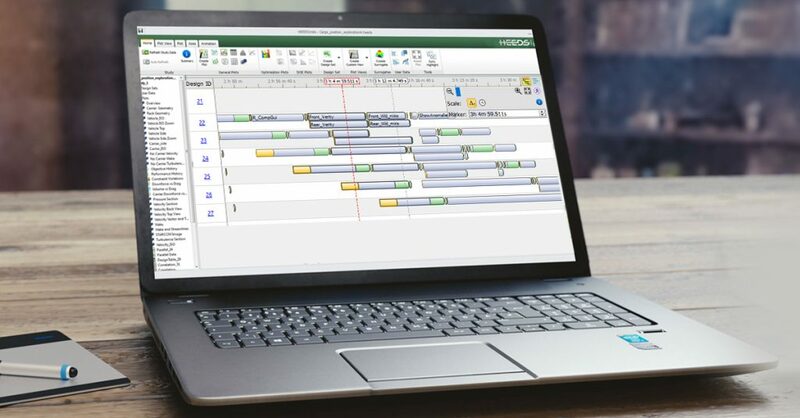 The analyses’ execution stages can now be easily visualized in a Gantt-like time scale view allowing investigation of execution conflicts and bottlenecks. Software is often installed at different locations on different machines accessed by HEEDS|MDO, making it challenging to set up an analysis with the proper execution command that works on all systems. HEEDS 2018.10 is now equipped with a simple and powerful uniform interface that allows you to specify, for each compute resource, the right configuration properties to run your solvers on that particular system, time and again, without having to reconfigure to accommodate other systems. There are design problems that require input variable equality constraints to be enforced, which can be cumbersome to formalize into an optimization problem statement. With this new feature, ensuring the design variables add-up to a specific value is now easier than ever. With new major portals being added, such as FEMAP, Samcef, FloMASTER and FloTHERM, HEEDS continues to find new ways to help you leverage your software investments. HEEDS 2018.10 also is packed with improvements to existing portals to boost productivity. The new version of HEEDS now fully supports parsing XML files for tagging. Use this feature to tag, auto-tag and multi-tag input and output parameters. Tagging with XML is easy to use and requires no prior XML knowledge. We’ve seen our users manage a lot of external data sets. They are often willing to import them into HEEDS for post processing and optimization. Now we’ve made the experience much easier and straightforward by allowing the seamless import of external data sources into HEEDS with a single button push! You can also use this feature to plot data from multiple studies on the same plot. To download HEEDS MDO 2018.10, log into your Customer Portal account or go to the Siemens Global Technical Access Center .The newest Release Notes are also available for download on both sites. The latest release of Siemens’ STAR-CCM+® software for multiphysics computational fluid dynamics (CFD) simulation and analysis includes two new seamlessly integrated features which enable automated product design exploration and optimization. 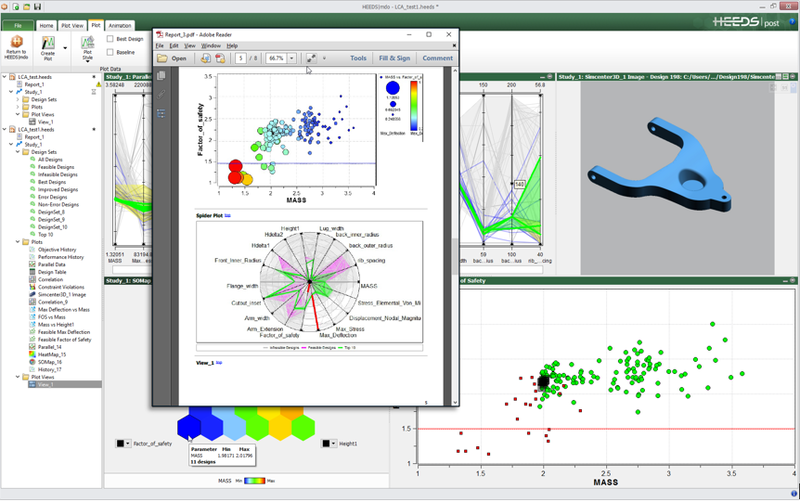 STAR-CCM+ version 12.04 introduces Design Manager, allowing users to easily explore multiple design options within their CFD simulations, and STAR-Innovate™ software, which uses the same proven design optimization technology found in HEEDS™ software – a technology Siemens obtained as part of its 2016 acquisition of CD-adapco. 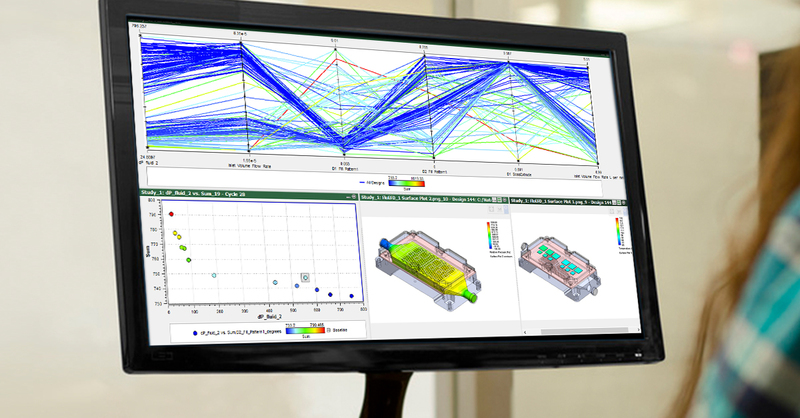 STAR-CCM+ is developed by Siemens’ product lifecycle management (PLM) software business, and is part of the company’s Simcenter™ portfolio, a robust suite of simulation and test solutions. East Lansing, MI (October 30, 2017) - Siemens Product Lifecycle Management Software is pleased to announce the release of HEEDS MDO 2017.10. Siemens PLM provides powerful tools for quickly and easily exploring product design options to find the best possible design to meet your needs. 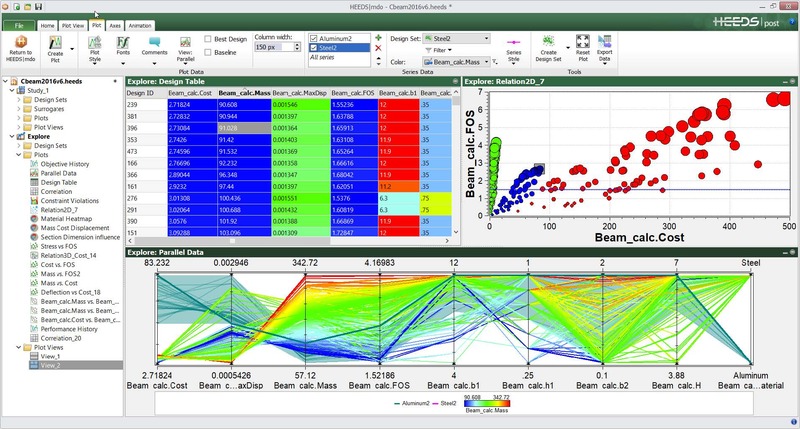 HEEDS 2017.10 is packed with great enhancements that continue to streamline design space exploration through improved results processing such as parallel plot line color shown in the image above and automation of analysis tool capture and workflows. You can download the software from your customer portal account as well as view a complete list of additions in the release notes. What's New webinars will be broadcasted on December 7th, 2017. East Lansing, MI (May 2, 2017) - Siemens Product Lifecycle Management Software is pleased to announce the release of HEEDS 2017.04. This release contains many new features driven by users to help you discover better designs, faster. Please login to your Customer Portal and choose HEEDS MDO 2017.04 from the Software and Documentation section.